A self-described Love Muse, Melody Kiersz is an Argentine-American residing in Paris, France. She is living fully in pursuit of Aliveness. It was at the young age of thirteen that Melody set the intention to live and attend university in the United States. The time of her graduation coincided with increased social and economic instability in Buenos Aires. This pushed her parents to move the entire family. Landing in Florida, the family settled in as Melody continued on to New York; where she had been accepted to study at Parsons School of Design. A couple years in Melody found herself questioning, even doubting her ability. She was losing her desire to pursue a career in fashion. A natural seeker, Melody found her a student at the NYU Gallington School of Individualized Study, where she successfully completed a degree in Happiness. Yes, Happiness! In recent years, the culmination of living in New York City for fifteen years, the pressure of competing to meet a false standards in the U.S., increased critical self-talk, being nearly drained of any ability to be creative and a series of unfortunate events were wearing heavily on Melody. This all led one conclusion; it was time to follow the pull, up sticks and lives as she is called. Note: Your family history may hold the key to your gaining a second passport. Have a look. 1 Live Abroad in Paris! 2.1 Un café s’il vous plait. 4.1 Get Locaux! Share your story here. False narratives and ambitions have you out of sync. Why you must reconnect with the cycles of nature. Hear why doing ‘nothing’ is actually good for you. How to have more love and acceptance in your life. Paris allows her to breathe and explore. Get more freedom and self expression in your life. Are self critical and giving in to harsh self talk and in in amd around Île-de-France? 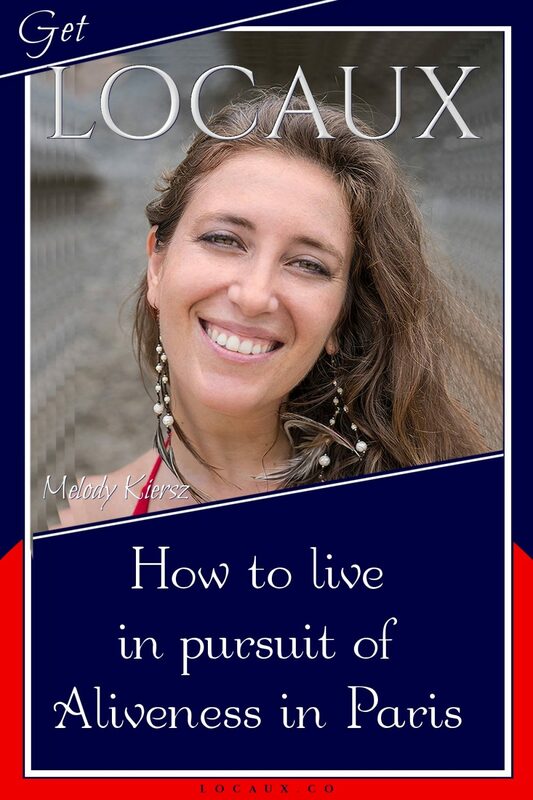 Connect with Melody here to schedule a session or attend a Self Love Mastery Retreat. While you’re there, inquire about an invite to attend a Self Love Circle. Read this Insider’s Parisian favorites! We share some of Melody’ favorite things to do, places to eat in Locaux Insider’s Guide – Paris. Un café s’il vous plait. Café Leopard – 11ème at 149 Boulevard Voltaire near the Charonne Metro. Craving a strong French coffee? Pop in to Café Leopard to have immersive experience at this very local, non-touristy café. A late night cozy and casual sister gastro-pub to the one in the West Village of New York. A luxurious ambiance and delicious food, great coffee and reasonably priced. Melody rates this place a fantastic all-around place to dine during your next trip to Paris. Get Locaux episodes and notes in your inbox. Bontemps Pâtisserie Bontemps – 3ème at 13 rue de Saintonge, Marais. Le Ballroom – 58 rue Jean Jacques Rousseau. A quaint speak-easy behind an ambiguous metal door. Look for a greeter to ensure you’ve reach the destination serving up great cocktails. For the complete list of this insider’s suggestions, including places to shop and taking in the local culture, get it at: Locaux Insider’s Travel Guide to Paris. Locaux is proudly supported by P2 & Associates. Remember to tune into Locaux!, The Podcast. We’re celebrating the stories of phenomenally unconventional single women entrepreneurs who have followed a strong pull to upsticks from their country of origin, unearth a patch of land and plants seeds where their soul feels most at home. So, join us, as we travel through the their minds of those who have dared greatly, giving into their obsessions and actually live, abroad. 004 | The Grown Up Gap Year?